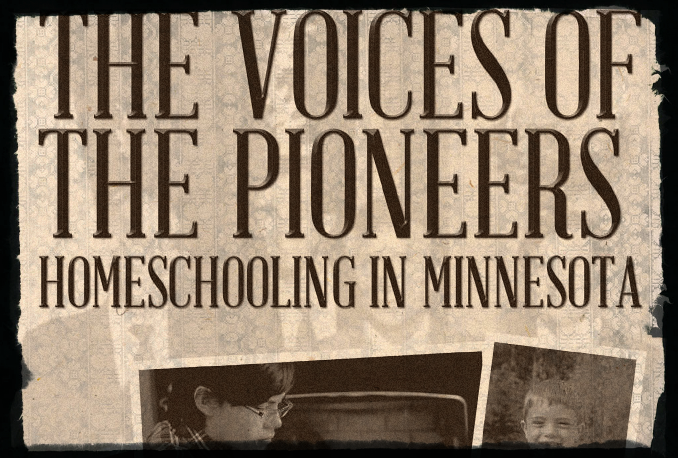 The Minnesota Association of Christian Home Educators (MÂCHÉ) brings you this collection of first-hand stories of more than a dozen homeschool pioneers. Sit down with a hot beverage and enjoy this conversational-style history of those who ventured to do what was considered less than legal and more than a little bit crazy. Learn why parents removed their children from public schools to educate them at home and how these pioneers fought for that right before local courts, district courts, the Minnesota Supreme Court, and in hearings before both the Minnesota House and Senate. Witness the birth of MÂCHÉ and its thirty years of growth and influence. Be informed, encouraged, and inspired by these mostly ordinary yet courageous people. When we first started homeschooling in 1982, it was considered illegal to homeschool. Spring Grove Public School took one of the families of our Christian fellowship to court and charged them with truancy—we schooled as a group. At that time, we decided as a fellowship to bring the superintendent and principal of Spring Grove to a few of the homes to show them the curriculum and prove the children were being educated and were well socialized. We also talked to them about our Christian convictions that led us to choose home education. An attorney was hired to defend the family. On the basis of religious liberty, they won the case, which was watched by other counties because of all the people starting to homeschool. …At that time, we joined Home School Legal Defense Association and Christian Liberty Academy, who both encouraged us and other Christians in Minnesota to lobby our state legislature for a homeschool bill that would make it legal to homeschool with the least possible restrictions. Karl and his brother John were both at the Capitol at different times, talking personally to as many senators and representatives as they could. The Solums founded a high-control cult. That’s the aforementioned “Christian fellowship.” And now they’re in the news because they’re suing that cult. For 35 years, Suzanne and Karl Solum were members of a Christian ministry called Maranatha in Spring Grove, Minn. They pooled all their money with everyone else in the group but when they left six years ago, they wanted their share and sued. In a Houston County courtroom in June, they testified about decades of control, abuse, and deceit from the man known as the group’s shepherd. Those decades of “control, abuse, and deceit” were dark and troubling. The group’s “shepherd,” a man by the name of Tom Tollefsrud, has been accused by former Maranatha members of “beatings and punishment,” creating “a hell they were afraid to escape,” and “breaking the jaw of one Maranatha member to ‘teach him a lesson. '” Claims of forced financial and medical decisions have also been made. But the Solums were not passive participants in this high-control community — in other words, a cult. Beginning in the 1970’s, the Solums actively built the community. The group “absolutely” believed that God spoke directly to Tollefsrud. Spring Grove Public School took one of the families of our Christian fellowship to court and charged them with truancy—we schooled as a group. Spring Grove Public School took one of the families of our cult to court and charged them with truancy—we schooled as an isolated, high-control group that absolutely believed God talked to our leader. [Our fellowship] won the case, which was watched by other counties because of all the people starting to homeschool. Our abusive, high-control cult won the case, which was watched by other counties because of all the people starting to homeschool. We joined Home School Legal Defense Association and Christian Liberty Academy, who both encouraged us and other Christians in Minnesota to lobby our state legislature for a homeschool bill that would make it legal to homeschool with the least possible restrictions. We joined Home School Legal Defense Association and Christian Liberty Academy, who encouraged our abusive, high-control cult in Minnesota to lobby our state legislature for a homeschool bill that would make it legal to homeschool with the least possible restrictions. Minnesota Association of Christian Home Educators probably doesn’t want it known that some of their celebrated “homeschool pioneers” founded a high-control religious sect that fostered and hid criminal abuse. Nor does HSLDA want their members to know that the Twelve Tribes isn’t the only abusive high-control group they have supported. So whitewashing it shall be. I always thought MACHE was creeeeeeeepy.